One of the first towns founded in the Massachusetts Bay Colony, Roxbury is now part of the city of Boston. 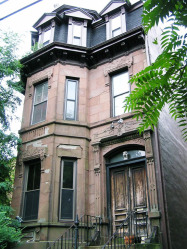 The neighborhood is proudly home to some of Boston’s black community, and can claim as residents revered civil rights activists such as Frederick Douglass and Malcolm X. 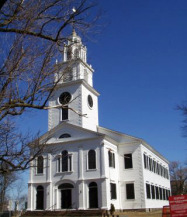 The neighborhood played a significant role in the Revolutionary War: The First Church of Roxbury, built in 1804, is the same site where William Dawes, counterpart of Paul Revere, began his portion of the famous midnight ride. The Fort Hill Tower, built in 1869, sits on the site of original Revolutionary War fortifications. For nature lovers and athletes, the neighborhood’s Franklin Park is a 527-acre park that encompasses the superb Franklin Park Zoo and the William J. Devine Golf Course.